Publisher / Place of Publication: The Columba Press / 55A Spruce Avenue, Stillorgan Industrial Park, Blackrock, Co. Dublin. About: This book examines spirituality in its broadest forms. What is it that we are looking for? What is Christian spirituality? How does spirituality and the meaning of life impact on issues such as morality, intimacy, ecology, human rights, social justice, reconciliation and commerce? Chapters: Introduction – Part I Spiritual Experiences and Moral Values — Interpersonal spiritual experiences — Personal spiritual experiences — Experience of mystery — A Christian approach to the mystery — God’s Spirit and God’s Word — Reading the signs of the times – Part II Personal Call: In the Bible and in Our Own Lives — The call of Abraham and our call — The calls of Moses, Esther, and Judith — The call of Jesus — The call of Mary – Part III Spirituality and Morality — A spirituality of intimacy — Ecological spirituality: contemplative aspect — Ecological spirituality: active aspect — A spirituality of human rights — A spirituality of social justice — A challenging spirituality — A spirituality of liberation and reconciliation — A spirituality for sellers and buyers. WW Connection #1: The author, Fr. Donal Dorr, is a member of St. Patrick’s Missionary Society (Kiltegan Fathers). Publisher / Place of Publication: The Dun Laoghaire Genealogical Society / Dun Laoghaire, Co. Dublin. 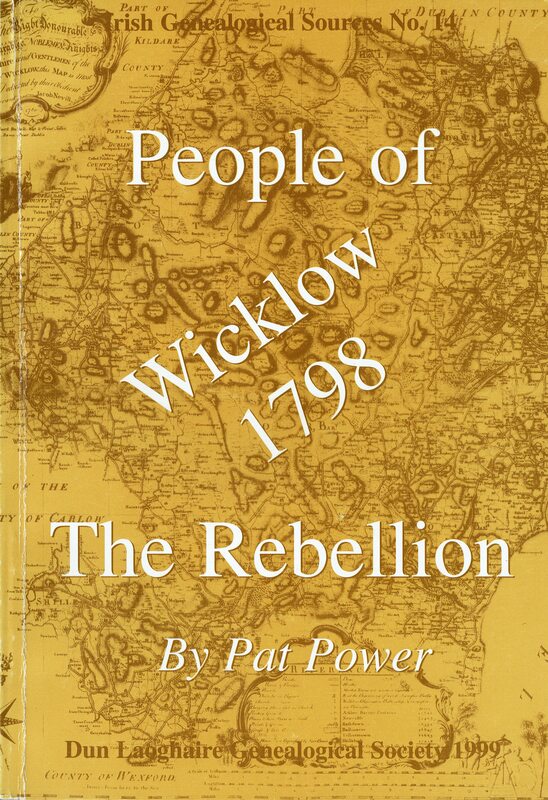 About: This is a listing of around 1,800 names of those who were associated with the 1798 Rebellion in Wicklow. The author has included people from both sides of the conflict and provides their affiliation, their probable address and, in many cases, some additional comment. The five-page introduction gives much useful information about the historical background and helps to clarify the challenges of interpreting the data. 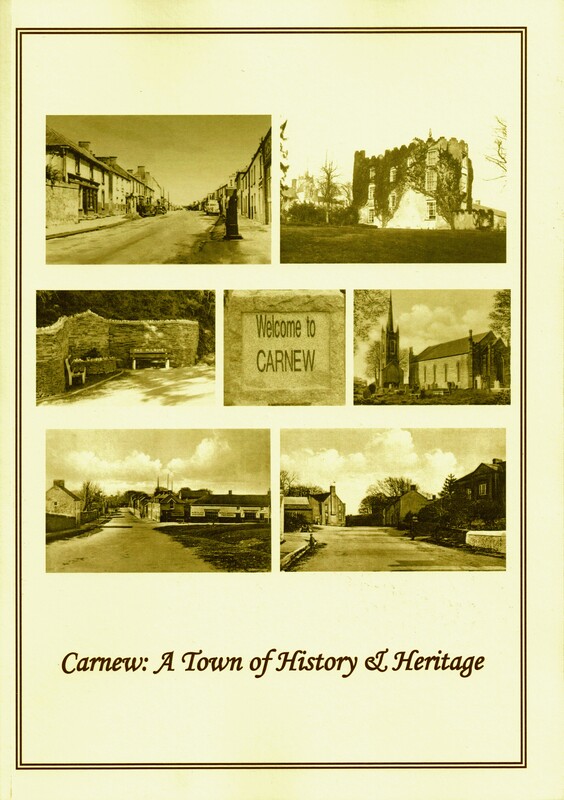 This book is Number 14 in the series ‘Irish Genealogical Sources’. Chapters: Introduction – Names in Alphabetical Order – Appendix 1: Maps – Appendix 2: Yeomanry Corps – Bibliography. WW Connection #1: Many of the individuals listed are associated with West Wicklow. 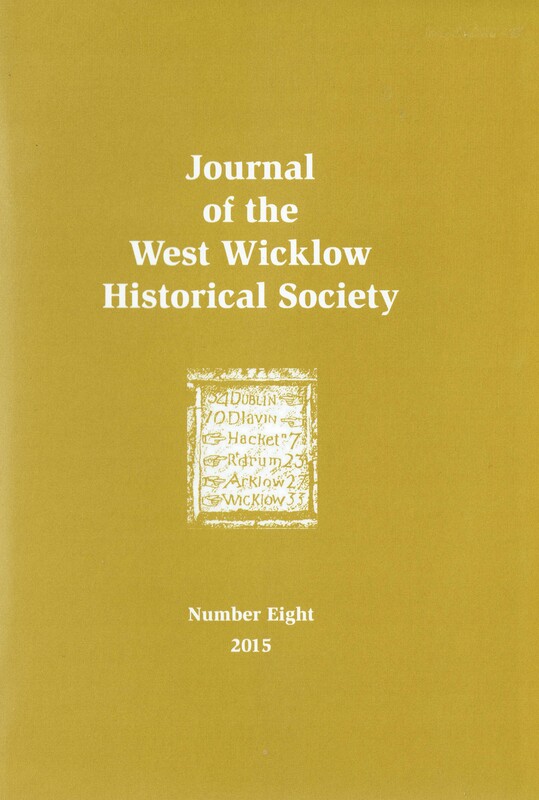 Extra #1: Includes a reproduction of ‘A Map of Wicklow 1760 by Jacob Nevill’.